OLYMPIA, Wash.— Washington wildlife officials will have to give eight business hours of notice before killing wolves in the state, under a new agreement reached today in Thurston County Superior Court. Judge Chris Lanese ruled from the bench today that a challenge by the Center for Biological Diversity and Cascadia Wildlands of a kill order for the Sherman Pack in Washington was moot because the agency had already destroyed the pack. But Judge Lanese emphasized that the issues raised by the lawsuit were of great public importance and deserved to be fully evaluated. To that end, the judge obtained a commitment from the Washington Department of Fish and Wildlife to provide public notice before killing wolves, ensuring the conservation groups have a chance to stop any killing. The judge suggested that such a request for emergency relief was extremely likely to be granted, to prevent the state from killing wolves before there is a chance to have a court rule on the full merits of the claim. The groups’ suit challenged the agency’s August 25, 2017 order authorizing killing of members of the Sherman pack. At the time of the kill order, the Sherman pack consisted of only two wolves. The state killed one Sherman wolf on September 1, 2017. Overall, since 2012, the state has killed 18 state-endangered wolves, nearly 15 percent of the state’s current confirmed population of 122 wolves. The judge noted that fifteen of the wolves killed since 2012 were killed on behalf of the same livestock owner; those kills have now led to the eradication of three entire wolf packs, including the Sherman Pack last summer, Profanity Peak pack in 2016, and the Wedge pack in 2012. The rancher in question has been a vocal opponent of wolf recovery and has historically refused to implement meaningful nonlethal measures designed to protect his livestock from wolves. Washington’s wolves were driven to extinction in the early 1900s by a government-sponsored eradication program on behalf of the livestock industry. The animals began to return from neighboring Idaho and British Columbia in the early 2000s, and their population has grown to 22 confirmed packs as of the end of 2017. 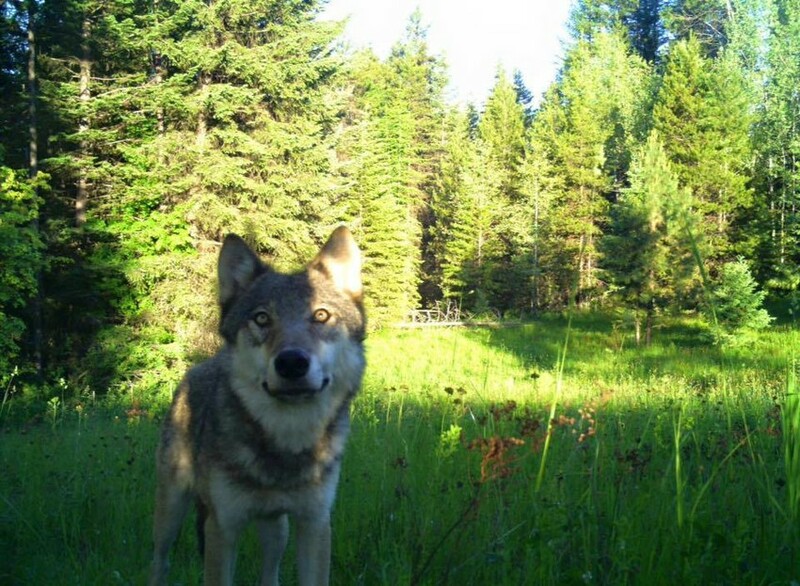 But wolf recovery in Washington is still a work in progress. Wolves remain absent from large areas of the state, and although the population has been growing, it remains small and vulnerable. Given the continued endangered status of wolves, conservation groups are urging the state and livestock operators to stick to nonlethal methods as the sole means for reducing loss of livestock to wolves. Smackout pack wolf courtesy Western Wildlife Conservation. This image is available for media use.